To explain it simply, it is a single card that can store all your credit and debit cards, even loyalty/gift cards. So relieve your over-stuffed wallet and you will ever only need this one card with a single magnetic strip! A lot of companies have dabbled in the tech-meets-finance space. 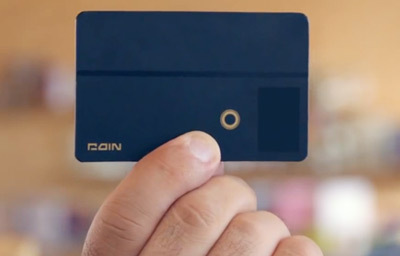 Square did it successfully for small business owners and now Coin is something for us, the consumer! It is a kickstarter project and officially launches next summer. It will release with a price tag of $100. But, they are taking pre-orders now for $50! It does of course raise some security issues and they are in the process of addressing these. Watch the video to really see it in action. I can’t wait to get my hands on one.